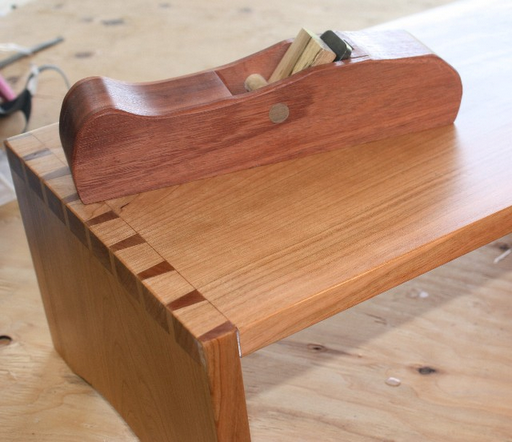 I put the final finish on the TV Table and finished up the wooden plane. 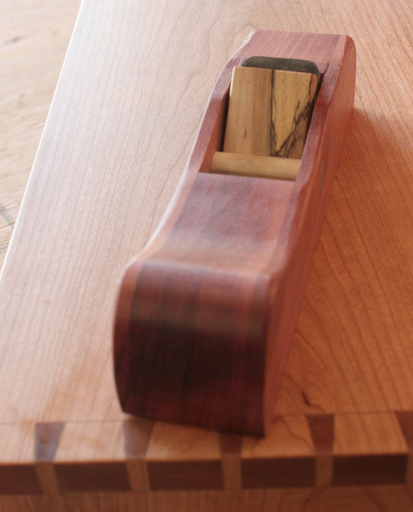 Derrick, teacher/owner of Puget Sound Woodworking, and I had great time shaping our wooden planes (he was building one for himself while teaching me how to make mine). 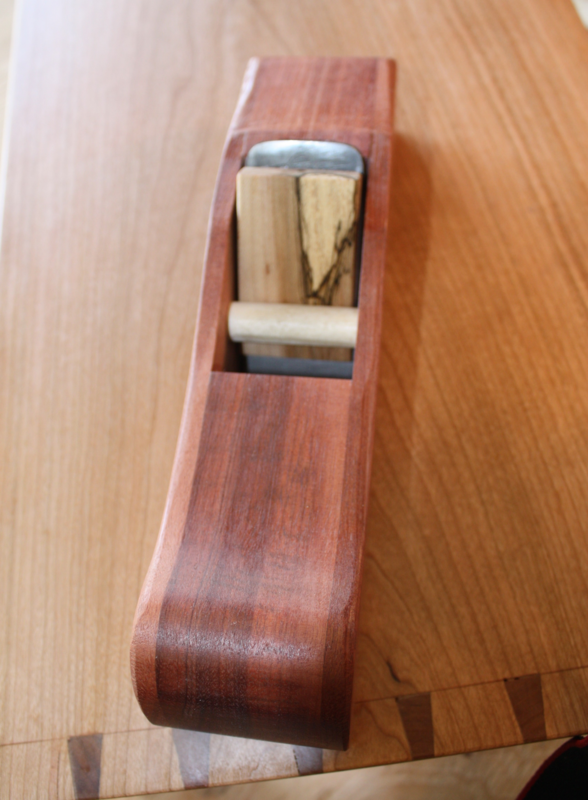 So now I’m up to speed on building, shaping, tuning and sharpening the blade of a wooden plane. I also used shellac finish for the first time .. and became a convert. However, now that I know that its really bug spit scarped off the bark of trees by some really poor folk, I’ll probably make sure I only buy what I absolutely need.